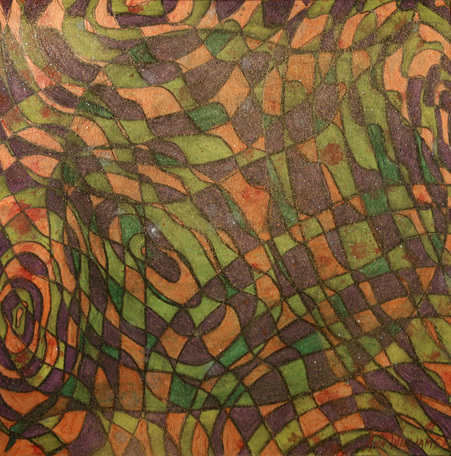 Deep within the ripples of this work lies a green leaf. Life springs out of a dormant tree in the spring in the form of leaves. Life also comes forth from the inside of us. If the heart is focused on the things that ultimately matter, abundant life will come out and affect those around us.